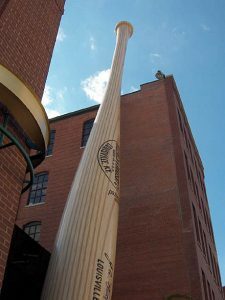 Great addition to your Baseball Bat Cane! When ordering a Baseball Bat Cane, you also have the option to purchase the Superior Cane Tip. The addition of this tip adds more stability for the Baseball Bat Cane. The Superior Tip is 3” wide at the rubber base; therefore, it provides and enhances the experience of using the Baseball Bat Cane, and can help to reduce strain on the arms and back of the user. The Superior Cane Tip allows the Baseball Bat Cane to “self-stand” on most surfaces; however, it may not self-stand on shag or deep pile carpets, and works best on flat surfaces. The Superior Cane Tip is made of non-marking SBR natural rubber, UV protected, with a metal plate molded into the base. The Cane Tip weighs less than five ounces. You can purchase this amazing cane tip with your Baseball Bat Cane for an additional $19.95. Ordering the Superior Cane Tip with a Baseball Bat Cane order requires no additional shipping cost. If you would like to order only the Superior Cane tip, without a Baseball Bat Cane (so you can add the tip to a cane that you currently own, or to give as a gift), the cost is $24.95, plus shipping. The Superior Cane Tip will fit standard cane sizes. 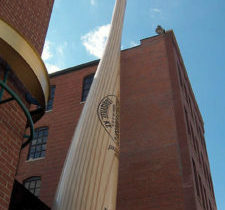 Largest Baseball Bat in the World! bat, unless you look straight up, or walk a half-mile away from it. awesome! Be sure to check out the unique gifts in the Gift Shop, such as the Baseball Bat Cane! Need a gift for your favorite Coach, Team Player, or Fan? How about a gift for Dad or Mom? Or a gift for Grandpa? You can use the Baseball Bat Walking Cane to gather signatures to honor a special coach or outstanding baseball player.